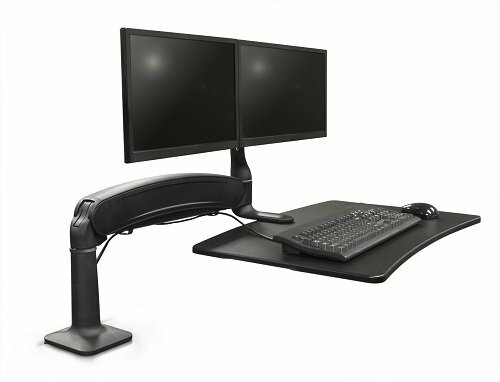 The ergonomically designed Co-Pilot allows the user to adjust their primary computer work surface from a sit to stand position easily and effectively. The Co-Pilot has 18.5" of gas assisted height adjustment. To maximize the use of the desk surface, the work surface can also be swung to the side when not in use. If you have any questions about this product by Symmetry, contact us by completing and submitting the form below. If you are looking for a specif part number, please include it with your message.